The iKettle might have a terribly cliched name, but it makes up for that unoriginality with loads of novel functionality that might just be enough to justify its $160 price tag. Maybe. After all, how many kettles do you know that politely ask if you'd like a piping hot cup of tea when you get home at night? 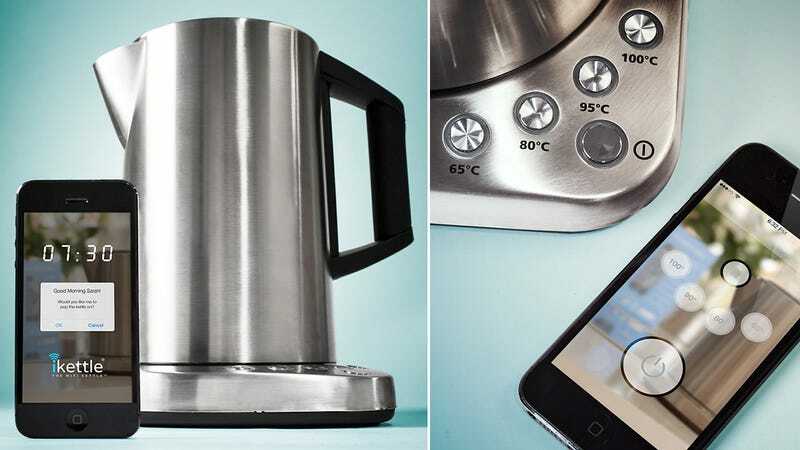 The crux of the kettle's capabilities is its ability to connect to your home's Wi-Fi network. This puts it in contact with an accompanying mobile app on your smartphone that gives you complete control over all of the kettle's functionality—including multiple temperature options for different hot beverages—from wherever you have access to your home's wireless network.